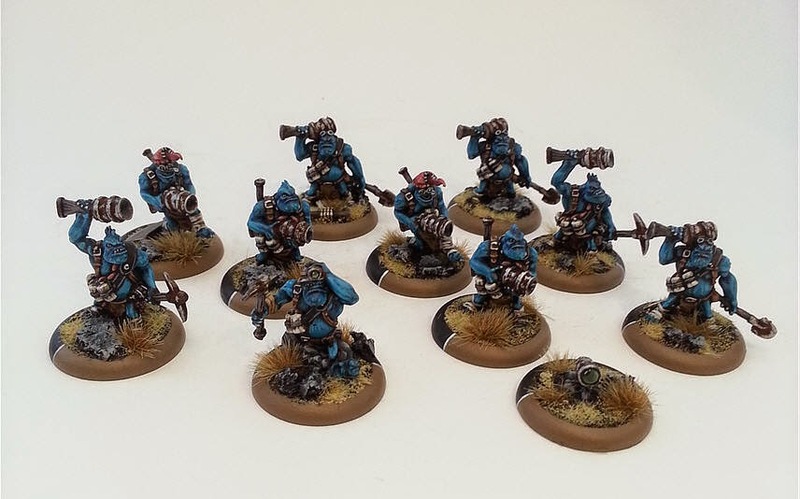 Finally starting to knock out a few units for the Trolls. Most of what I have are solos, beasts and casters but the real body of work that needs to be done is on units (I have something like 50 models for my units ready to get painted). Here is the first block of those troops in the form of my burrowers.